We offer a wide range of Web Development Services & Digital Marketing. Our offering includes Web Design, Web Development, SEO, Social Media Marketing (SMM) & much more. We design beautiful websites for all kinds of businesses, SMEs and organisations e.g. restaurants, tradesmen, solicitors, consultants, logistics and marketing companies, professionals and many more types of small and medium-sized businesses across Ireland. Our package costs are clearly outlined on our website. These costs include the design and building as well as the implementation, hosting and maintenance of your website. There are no additional costs. Free basic SEO with any package: keywords optimisation, Google Analytics, search engine submission. Your website will be hosted on secure servers and accessible to your customers 24/7. We offer mobile optimisation in all our packages. Your website will be tablet and mobile friendly and will resolve on all devices including apple and android devices. Social Media Marketing is important for the online presence of your business. We both create and maintain social media accounts on platforms such as Facebook, Instagram and Twitter providing you with a bigger digital footprint and your customers with a better chance to learn more about your business offering. We understand your specific needs and develop a specially tailored plan for your future website. We create a beautiful, affordable website design for your business. We design and develop your website content and give you the opportunity to sign off on and make any final changes. After successful development and testing we push your newly developed site live so that your customers can find you. We look after your website to make sure it is accessible 24/7 and freshly updated. Fully optimised websites for all devices. Full packages on any plans: secure hosting, responsive design, integrated social media. We put your website online in no time. Average time per project is 5 days. We offer clear pricing for all businesses. No hidden costs. and Website Development Agency from Dublin. Zmartpage is not just a fancy name for a web design agency from Ireland it is a name which stands for a quality, innovative and successful approach to all of your online needs. The Zmartpage team of web designers, developers and online marketing professionals are devoted to developing your online business and your online presence so that your target and existing customers can easily find you online, see what services you offer, and go with your business. Zmartpage experts provide you with competitive advantages which will truly push your company and business to the forefront of your sector. social media marketing and much more! 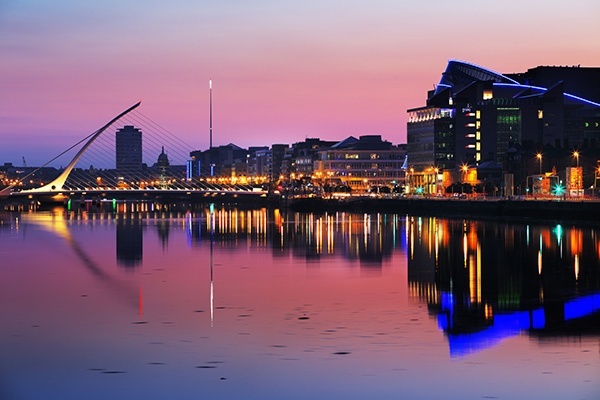 Zmartpage was founded in Dublin in 2014 with a clear mission to help all different types of businesses to get online and be the very best online. Today we are very proud of our 10+ team members who are on this mission with us and who helped the many small, medium and large Irish businesses which we serve.